It's fascinating to watch each group of kittens mature, meeting the same milestones, but each set with a unique family personality. 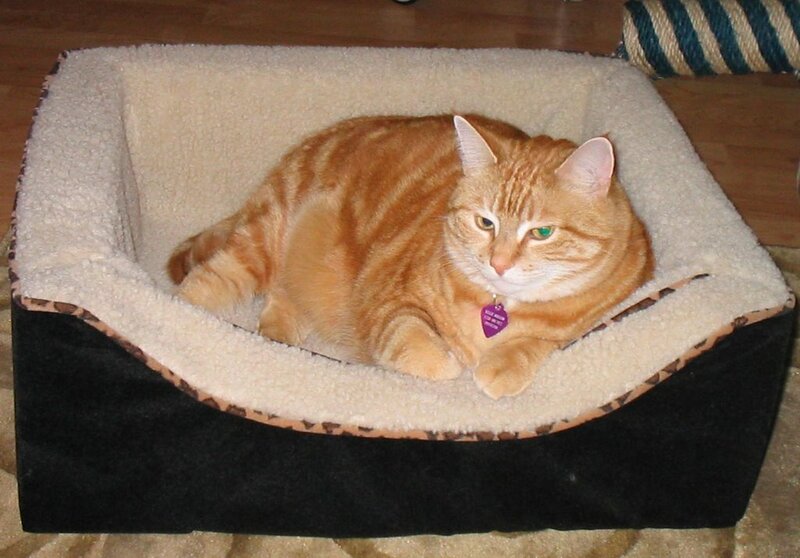 The morning routine is much the same: wake up, play, eat, play. As they get older, play, play, play. Then there comes a time later each morning when energy levels flag and all are overcome by sleep. This was nap time yesterday morning. As usual, the Sugar Babies are stretched out in a companionable group. 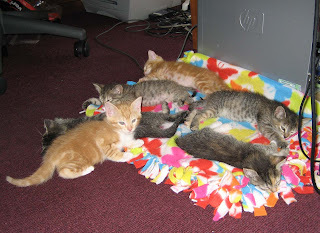 They filled the space that originally hosted a little pile of kittens in one corner. This is today. I know they are growing up when they start doing things independently. 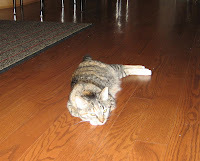 Sweetie, sleeping on the dining room floor. Taffy and Sugar snuggling in another corner of the dining room. Snap and Chip, sprawled on the couch. How guy-like. Honey snoozing under the coffee table. Tiny Candy, curled up under the chair. OMG! I can't believe how fast the sugar babies are growing! 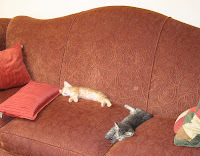 I love the picture of Snap & Chip on the couch - they look very comfy.